Promoting a product or service with influencers is hardly a new phenomenon in the world of marketing. However, the emergence of social media in the past decade has brought new meaning to the concept, and in a sense, rewritten the rules. In fact, a study conducted by Twitter and Annalect found that users report a 5.2X increase in purchase intent when exposed to promotional content by influencers. As great as this idea sounds, there is a downside to everything. Look at PewDiePie, a famous Youtuber and influencer to many different brands. Earlier this year, he posted videos to his channel featuring anti-Semitic imagery. That being said, here are three reasons why brands must strive to create a higher level of authenticity when using influencers to promote their messaging. Influencer marketing is a partnership between you and a prominent member of a certain community. When working together, both reputations are on the line. Companies and influencers need to take into consideration that every move they make can have serious repercussions in relation to their following. In the case of PewDiePie, many of his partners, including Maker Studios and YouTube itself, distanced themselves from the figure. Needless to say, PewDiePie’s own individual brand took a lot of beating, and both the influencer and the beneficiary brand had a lot to lose in this case. While it is incredibly difficult to predict a scandal at this level, there are many tools you can use to find the perfect fit for your agenda. Tools like GroupHigh and Kred are great entry-level resources for locating influencers in your industry. They help you analyze influencers, weigh their influence and make changes you think will improve engagement. By scanning content across the web, these platforms help pinpoint top influencers related to your niche and measures their impact. From here, you can examine their profile and the content they produce to determine whether or not they fall in line with your messaging and tone. Look for potential risks. When using this form of promotion, every party involved is working under the same banner. 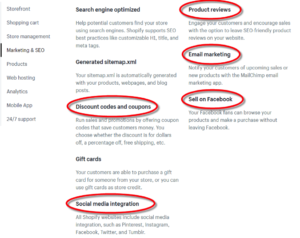 Whether you’re running a non-profit organization, B2B service provider, e-commerce platform, or even a brick and mortar shop, using an influencer will more than likely require you to slightly tweak your content marketing strategy. For online businesses especially, influencer marketing adds the critical “human element” to an otherwise tool-based marketing approach. 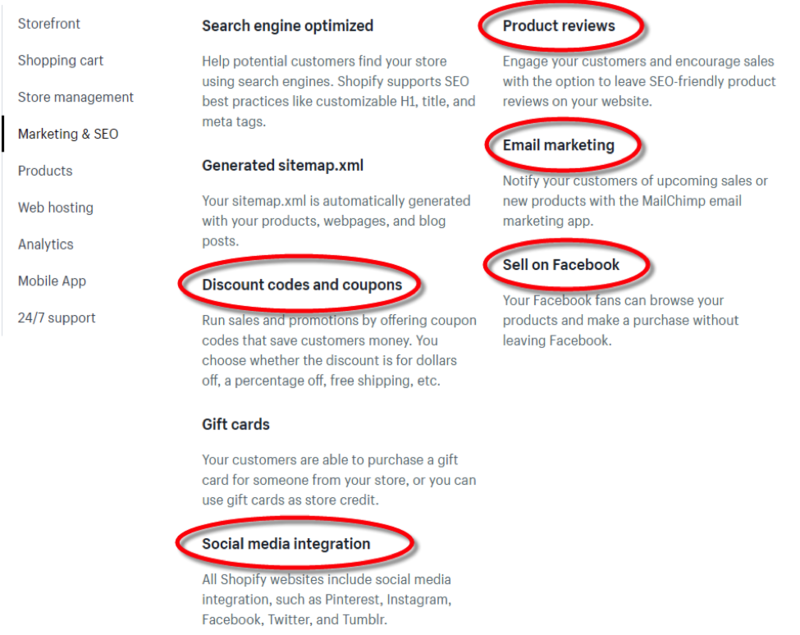 For example, e-commerce platforms such as Shopify give a retailer everything they need to sell online, including marketing options: But the majority of these (take a look at the ones circled in red) – social media, product reviews and custom discount codes – can be greatly enhanced using the services of an influencer or two. 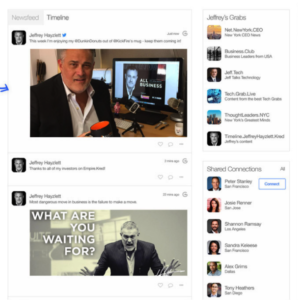 Again, successful coordination between your influencer teams requires the use of… tools! Unless you’re looking a quick, simple shout out, you and your staff will need to coordinate with influencers and/or their teams to get on the same page in terms of ideation and execution. As you are most likely not working next to each other, it will take a good effort to remain in sync throughout the entirety of the campaign. 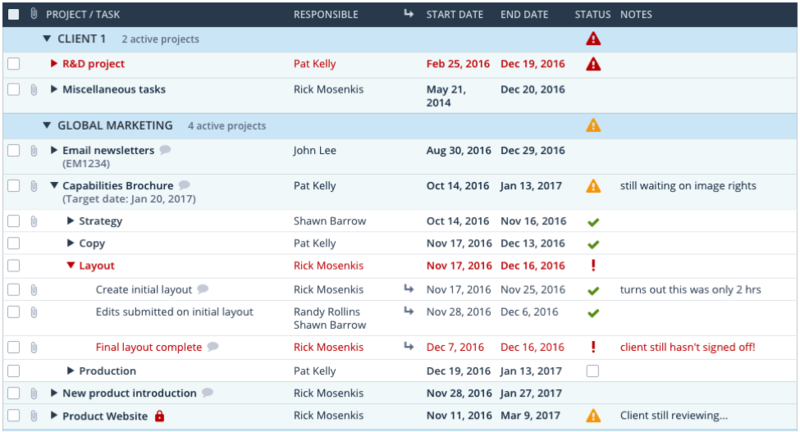 This begets the need to use a task management system to ensure nothing falls through the cracks. 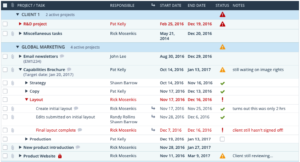 Workzone for instance, is built for these types of projects and is designed to fit the needs of tiny operations, all the way up to ongoing, coordinated campaigns for large brands: Using the simplified projects dashboard, all members involved have complete transparency as to how and when jobs are being completed in real-time. Using an influencer adds a whole new dimension to your content. Working towards a superior level of authenticity requires all teams to be on the same page every step of the way. In an age of constant connectedness, one single mishap can be detrimental for everyone. When breaking down the finer details of influencer marketing, the end goal is to promote your branded content to a newer, larger community. Reach and trust are the main differentiators between sales and influencer marketing. The bigger the reach, the more trust is on the line. Generally speaking, people have become more or less wary to traditional forms of brand messaging. In fact, a study conducted by Havas Media found that only 22% of people trust brands themselves. On the other hand, consumers are much quicker to trust a valued member of their community, as 49% of consumers rely on influencers when looking for product recommendations. Just as in personal lives, relationships are built on trust. It is one thing that is extremely hard to regain after losing. Nobody likes to be lied to. While many expect businesses to have a set agenda throughout their marketing, they look up to the prominent figures in their community and generally trust their words. At the end of the day, authenticity is what makes influencers influential to the public. Therefore, authenticity needs to be a top priority on both sides of the coin. Want to connect with Pratik Dholakiya? He’s the Co-Founder of E2M, a full service digital marketing agency and PRmention, a digital PR agency. Pratik Dholakiya is the Co-Founder of E2M, a full service digital marketing agency and PRmention, a digital PR agency. He regularly speaks at various conferences about SEO, Content Marketing, Growth Hacking, Entrepreneurship and Digital PR. Pratik has spoken at NextBigWhat's UnPluggd, IIT-Bombay, SMX Israel, and other major events across Asia. As a passionate marketer, he shares his thoughts and knowledge on publications like Search Engine Land, Entrepreneur Magazine, Fast Company, The Next Web and the Huffington Post to name a few. He has been named one of the top content marketing influencers by Onalytica three years in a row.